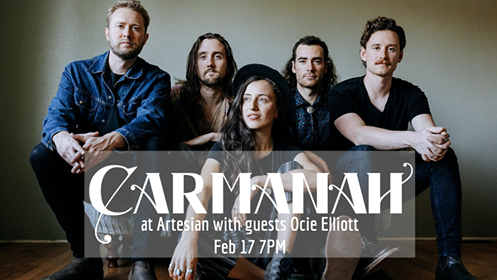 The Artesian is proud to present Victoria-based folk-rock band Carmanah with special guest Ocie Elliott! Never one to shy away from speaking her mind, Laura Mina Mitic will always be the last one to tell you about herself. Instead you’ll hear about music, bandmates, politics, touring and a deep reverence for humanity and the earth. You’ll hear the same on Carmanah’s first national release ‘Speak In Rhythms’, a modern eleven-song album that overflows with emotion, after-hours cool, groove and tantalizing hints of gritty vintage flavours that influence its modern sound. At home on Vancouver Island, Carmanah has built a large and enthused fanbase, selling out bigger venues and opening stages for international acts like Ziggy Marley, Clinton Fearon, K.D. Lang, Moby and Shakey Graves. Off the island, on their travels both near and far, and consistent with their values, the band lessens their ecological footprint by fuelling their tour vehicle with used vegetable oil procured from restaurants along the way. Ocie Elliott is musical duo Jon Middleton and Sierra Lundy from Victoria, B.C., Canada. The two met playing music at a festival on the small, wind-swept Salt Spring Island, where their love of music and the chemistry of their voices fostered an instant connection. Jon and Sierra’s voices meld beautifully in a cascade of sound, described by one reviewer as “...the aural equivalent of indigo painted skies and the first summer stars." 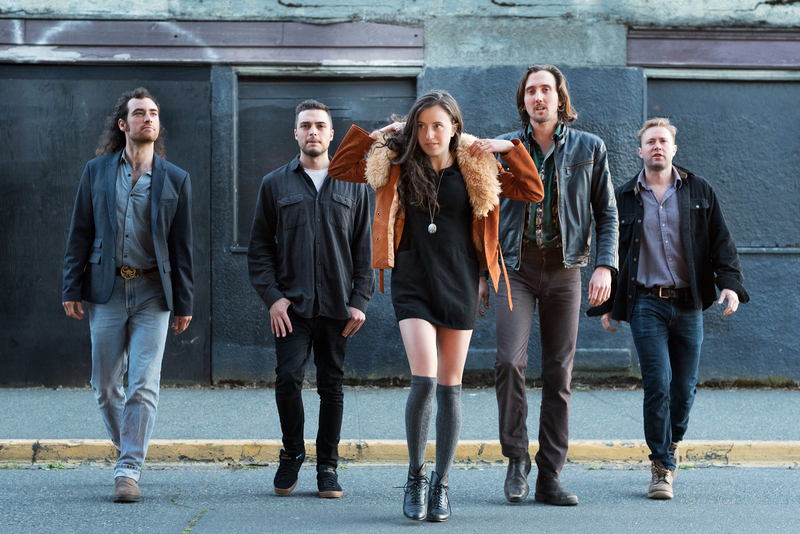 Their unique blend of contemporary and indie folk music is influenced by artists such as Gillian Welch, Simon & Garfunkel and Angus and Julia Stone, and born of the natural landscape of Canada’s wild west coast. In late October 2017, they released their first EP to the world, recorded in the woods of Vancouver Island, and immediately attracted an international following. Since then, they’ve opened for the likes of Mason Jennings, Joshua Hyslop and Current Swell. They’ll have another EP available soon.